Few people get psyched about taking a survey. Unless your customers instantly see why it’s important, they’re likely to bounce. At the same time, your company needs those responses. They help you help your customers. The best way to compel customers to take your surveys is to use psychology to compel them towards action. If you understand what motivates potential respondents, you’ll be more than equipped to get the survey results you need. In 1974, sociologist Phillip Kunz at Brigham Young University sent out handwritten Christmas cards to 600 strangers. His theory: if someone does something for you, you’ll return the favor. 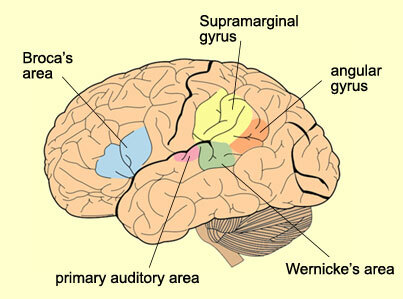 This is psychologically rooted in empathy, which comes from the supramarginal gyrus in our cerebral cortexes. Kunz’s study worked. He received more than 200 replies from people, many of whom also sent their Christmas card with handwritten notes. Some were even letters—a few were three or four pages long. That’s why it didn’t matter that Kunz’s subjects didn’t know him: their empathy kicked in once they received something, and they felt compelled to give something back. The same logic—of reciprocating when you’re given something—can be applied to timing your surveys. As soon as you’ve helped your customers do something, trigger a survey to go out. Via the norm of reciprocity, your customers will feel compelled to do something in return (like taking your survey). After they’ve been onboarded. Once you’ve given them a tutorial on how to use a core part of your product, survey them on whether it was helpful. After they’ve just completed a CTA. Companies like Uber and Seamless survey customers after they use the product’s core function. When they’ve just made a purchase. Your customer has just worked their way through your site to make a purchase, so ask them what they’d like to see while it’s fresh in their minds. Thanks to good ol’ empathy, timing your surveys to go out after you’ve just helped your customer will compel them to respond. Via the incentive theory of motivation, positive incentives like “money, rewards, or recognition” motivate people to take action. But most people have a present bias. We tend to prefer small rewards sooner than large rewards later. Even if your customers understand that responding to a survey will help them down the line, they’d prefer to have a small reward for sacrificing their time here and now. Given our present bias, your customers’ positive incentive needs to arrive ASAP—otherwise they won’t get that dopamine spike which will get them to take your survey. That’s why it’s imperative that you promise rewards to customers who take your survey. Say you’ve just programmed this survey to pop up (below). This proves to your customer that they’ll be rewarded right now for doing you the favor of completing a survey—playing into their present bias and motivation via positive incentives. Those actual rewards can differ, depending on the information you’ve already collected and how you’ve segmented them—like whether they’re a first time customer, their gender and age bracket, and so on. Discount their next purchase. If you have the financial resources, it can help grow your survey response rates. Offer a content upgrade. Provide extra bonus content for your survey participants that isn’t already available. Based on how each customer has been segmented in your system, you can determine what kind of additional content they would find most useful. The sooner your customers are rewarded for their time right now, the more likely they’ll be to fill out your survey. A study published in Oxford’s Public Opinion Quarterly tested the Leverage-Salience Theory of Survey Participation. The theory measured what factors made people more likely to take a survey—whether they found the topic interesting, if they trusted the organization surveying them, or if they would gain specific positive outcomes. Their findings revealed something intuitive—that people are more likely to respond to surveys when they find the topics interesting. Relevance theory shows that we become interested in things that we believe are directly related to us. So to get people interested in your survey, not only do you need to make its purpose abundantly clear—you need to make it specific to each customer’s experience. To make your survey prompts and questions as specific and as immediately relevant as they can be, use Qualaroo’s segmentation to analyze each customer’s experience in real time. Personalize each customer’s survey. You can keep each customer interested in your survey by asking questions via branching logic, which can help you automate the personalization process. The more specific you can make each customer’s survey experience, the more interesting they’ll find it—and the more likely they’ll be to respond. Reciprocity, rewards, and interest can each motivate your customers to complete your survey. When combined, you can harness those short-term wins for long-term gains.